My name is Sara Morselli. Pleasure to meet you. I’m a freelance translator and project manager. I live in Prato, and I have been working happily for Italian and international clients for over 16 years. I am my clients’ expert point of contact for language services from English and French to Italian. I give them my absolute care and attention for the projects they entrust to me. I love solving my clients’ needs for internationalization, working on terminological and style accuracy, while carefully assessing the target audience. 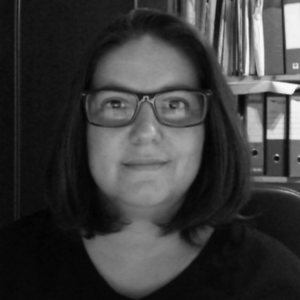 Translator Corner is my corner, made to create a direct point of contact with the public and give them a new look at the world of translation, as seen through my eyes. Two university diplomas in translation, a degree in language mediation sciences, a post-editor certification, and continuing education courses that I continue to take to this day. Continuing study and training are the pillars of my profession and reflect how to approach a text. See my LinkedIn profile for more information. I have been a full member of AITI since 2011. AITI is the Italian translators’ professional association, recognized by MISE (Ministry of Economic Development). I actively serve on the national executive board. See my 2018/2019 certificate of quality. My academic training, continuing education, and the experience gained over many years in the profession make me your trusted partner for translation and language services. I give my utmost care and attention to every project from start to finish. Punctuality, quality, and reliability are the cornerstones of my work. For the Italian market and the French- and English-speaking European market, I focus on services of translation, localization, revision, post-editing, and introductory courses to the translation profession. For the U.S. market, I am often a remote account and project manager to cover European business hours for American clients. GET IN TOUCH WITH ME FOR YOUR TRANSLATIONS!